While many in the EU breathed a sign of relief at the apparent success of the recent Washington trade tariff talks between EU Commission President Juncker and the Trump Administration, in reality it looks more as if Washington has skillfully maneuvered the EU, especially Germany, to close the door on any possible collaboration with China on trade and economic development. While there are problems with Chinese economic policy, the recent developments suggest an EU consensus to turn away from the enormous potentials of the China-based Eurasian economic space in favor of an alliance with the USA and China-hostile Japan against the Chinese development. That could seriously damage the EU economy going forward . While the US President tweets an endless stream of messages about the size of the US-China trade deficit and posts threats to impose new tariffs on an added $200 billion of Chinese imports, the actual US strategy has been developed with precision in the office of US Trade Representative Robert Lighthizer. Lighthizer, a seasoned trade negotiator going back to the Reagan Administration, oversaw the drafting of the March USTR report on Section 301. Lighthizer’s group targeted the ten industry sectors named in China’s 2015 Made in China: 2025 policy document. This war is not about trade dollars but about global control of dominant technologies. China, understandably, seeks to upgrade its technology base to global state-of-art levels and Washington, backed by key US technology corporations, wants to prevent that challenge. The tariff war is the ruse being used to do that. The interesting fact that stands out is the contrast between the flimsy statements, charges and documents presented by sectors of the so-called US intelligence community alleging Russian interference in the 2016 elections, supposedly on behalf of Trump. In thise US government accusations key charges that led to severe US financial sanctions against Russia and Russian companies were based on a dubious and vague dossier given to Senator John McCain by a retired British MI6 agent whose motives are anything but clear. The US intelligence battle against Trump is entirely of a different character from the Trump-China battle. The latter is a strategic consensus of USA institutions, not partisan US politics. China will not be allowed to rise to the status as an industrial equal to the USA. China 2025 lists ten key technology sectors as priority including artificial intelligence and quantum computing; machine tools and robotics; aerospace and aeronautical equipment; high-tech shipping; modern rail transport equipment; new-energy vehicles; power equipment; agricultural equipment; new materials; biopharma (including GMO) and advanced medical products. What Washington is now doing in the face of the impressive rise of the first major industrial technology challenge since World War II is in a sense unprecedented, one reason it is often misunderstood. Germany and Japan were not true challenges to US superpower hegemony as through NATO and other means they were kept in the status as dependent vassal states to Washington, as Zbigniew Brzezinski names them in his writings. China today clearly does not see itself as a Washington vassal. 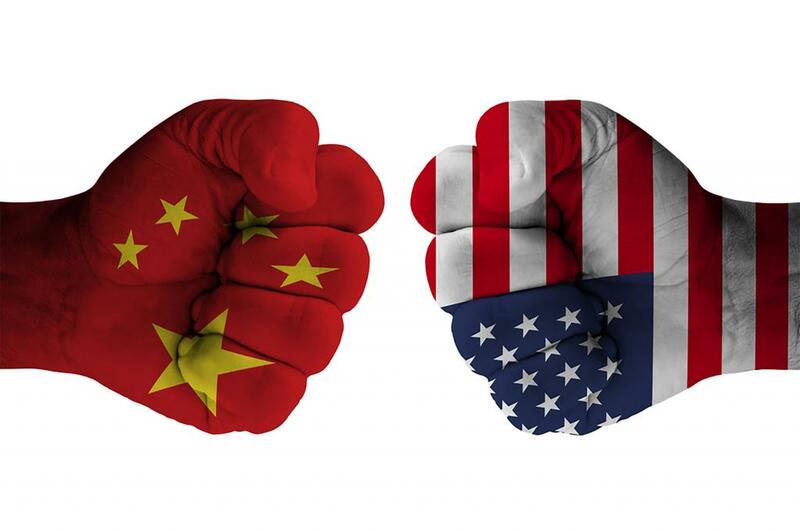 Moreover, the fact that China is drawing most of Eurasia including Russia, Iran, ASEAN and potentially even India into closer economic cooperation, makes the challenge of China: 2025 an existential life-death priority for Washington and Wall Street to try to nip in the bud. The problem is that that cannot work. Technological modernization of its industry is the province of every nation, even one as large as China. Fear of being transcended by a rising China is the message Washington and its key private strategy think-tanks such as the CFR have developed to build a global united front to oppose China. On a certain level, it is bearing results. Washington negotiation tactics have clearly been to sanction and threaten its closest NATO allies in the European Union to ring them to join the anti-China economic front. It’s a variant on the classic carrot-stick method. Following threats by the US President to impose sanctions on EU steel, aluminum, Washington began to mention the prospect of adding European cars, the heart of German industry. Trump even tweeted that the EU on trade had become a foe. Following the talks, where Trump even tweeted that there was “love” between the USA and the EU, Washington clearly got what it wanted: The EU agreed to side not with China against Washington trade war, but with Washington against China. Classic British Balance of Power geopolitics. The German government was quick to act. On August 1 it announced it would block the planned acquisition by Chinese investors of the German high-tech company, Leifeld Metal Spinning AG. The German Economics Ministry is also reviewing a proposed Chinese takeover of aerospace supplier Cotesa. This marks a significant policy shift. Earlier this year when China carmaker Geely announced it held a 9% share of German Daimler, and another Chinese company Midea bought German advanced machine tool maker, Kuka, the German government refused to interfere. Further linking Germany and the EU into an anti-China coalition, instead of pursuing the Chinese offers of a collaboration front to oppose the aggressive and not quite illegal US tariff war, the EU signed a comprehensive free trade agreement with Japan that implicitly is aimed at building Asian allies to oppose China. In May Chinese Prime Minister Li Keqiang went to Tokyo to urge Japan to cooperate with China against US trade sanctions and called on Japan to join China’s Belt and Road Initiative, the new economic Silk Road. Japan’s response was cool and clear, with their subsequent free trade deal with the EU. Since 2017 the Trump administration has quietly encouraged a revival of the Asian “Quad”—Japan, India, Australia and the USA as an implicit counter to growing Chinese economic influence. The Quad was initiated a decade earlier by Prime Minister Abe to try to counter growing China influence in the Asia-Pacific region. The huge tectonic plates of global geopolitics are in motion and the outcome, whether continental drift or severe clashes, is at this point not clear. Both China and Russia would dearly wish for a warming of relations with the EU for obvious reasons, something Washington has no interest in allowing to happen. By unveiling both its New Economic Silk Road global infrastructure grand plan in 2013 and then Made in China: 2025 two years later, China has given its opponents, especially in Washington, an opening to play on the fears of potential allies whether Japan or the EU. It will need sophisticated and open economic diplomacy from China to prevent the growing EU-Eurasia differences from turning into a split. That would be to the detriment of the EU as to China and Russia.